This rare, and absolutely outstanding skull, belonged to a "Platecarpus" Mosasaur, a prehistoric marine reptile, with four large powerful paddles, which made it a fast, and highly successful predator. It was discovered in Oued Zem, Morocco, and dates from the Cretaceous, 145m to 65m years ago. Platecarpus had a long, down-turned tail, with a large dorsal lobe on it, large steering flippers, and jaws lined with conical teeth. It grew up to 4.3 metres (14 ft) long, with half of that length taken up by its tail.. 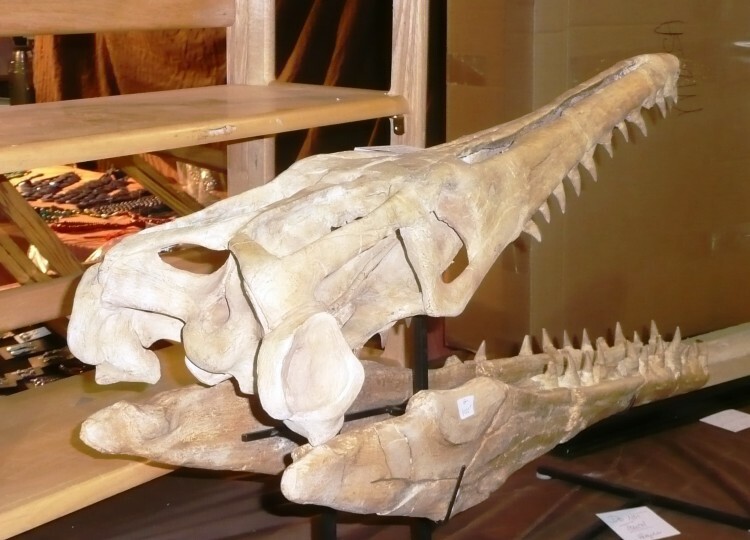 The skull structure of Platecarpus is unique among mosasaurs. 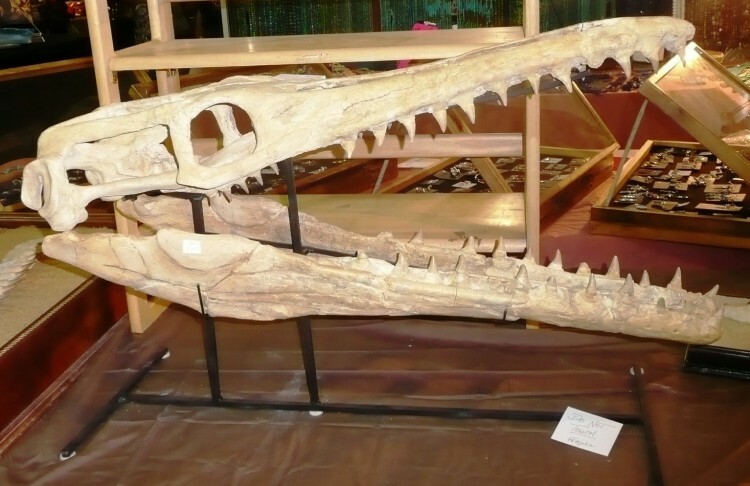 This genus is characterized by a short skull, and has fewer teeth than any other mosasaur (approximately 10 teeth in each jaw). This specimen has been professionally prepared and mounted. It features amazing detail and preservation. As is the case with most mounted fossil skulls, this specimen does have about 20% restoration, mostly on the internal bones of the cranium, which were crushed during fossilisation. 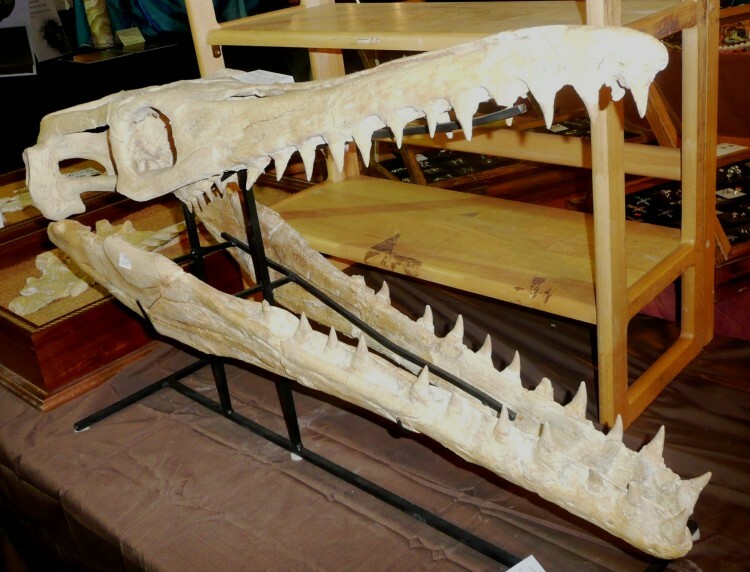 This is a wonderful opportunity to own a very rare, complete skull of this extraordinary marine reptile. This is an appreciating investment fossil, and what a talking piece this would be in the home or office. As seen in the latest Jurassic World film.